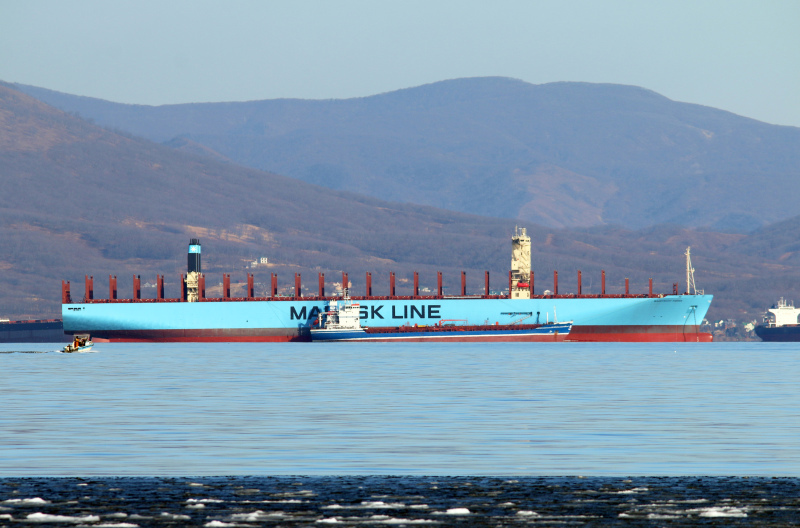 Newly built Maastricht Maersk on her maiden call to Nakhodka for bunkering. Very nice! 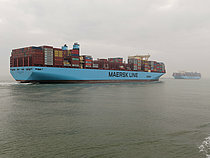 U had fortune to catch her in good weather with good visibility. mt OSTROV SAKHALIN is alongside.